Press and hold the ‘throw’ button. The longer/harder you hold it, the stronger the throw. Release when the green laser points at the cups. Great Job! You're clearly ready to join the Cash Reps program. Practice makes perfect! Give it another shot! Love the Cash App? Apply to be a Cash Rep and kickstart your career right from your campus. 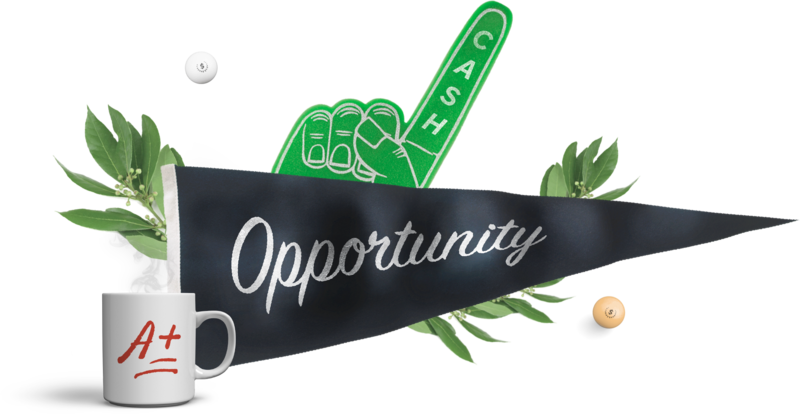 As a Cash Rep, you’ll have the unique opportunity to develop creative strategies, boost professional skills, and expand your network while sharing Cash App with fellow students.